my 2017 Nissan Maxima SL this will do correct just double checking before i put in in the car? It's under warranty so i STRONGLY suggest taking it to the team techs at the sales center. It's blue. But the level shouldn't go down. That's why I'd recommend taking it in. THere could be an issue somewhere in the system. If you have a laptop hook up a data link and check the temp. 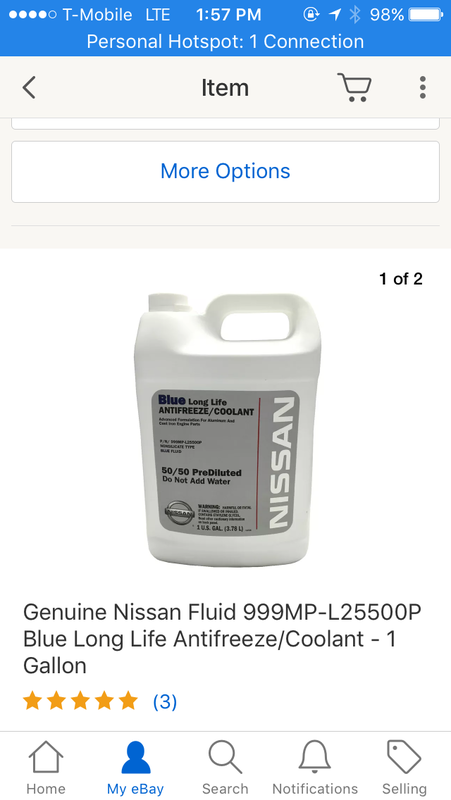 I had the same situation on a new 6-cyl Outback we bought last year, Coolant dropped to the Min line after having it just a week or so. I topped it off with OEM Coolant and have not had a problem since.